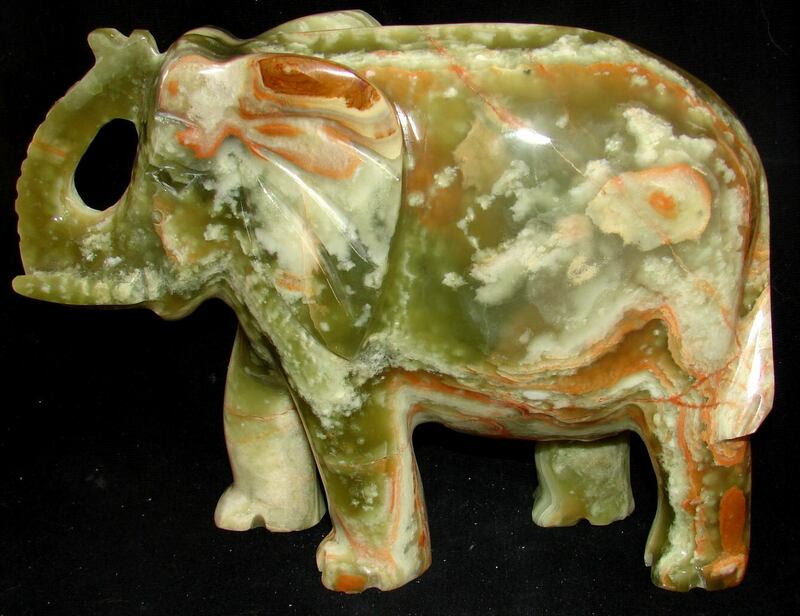 Welcome to our new hand carved and polished onyx elephant page! 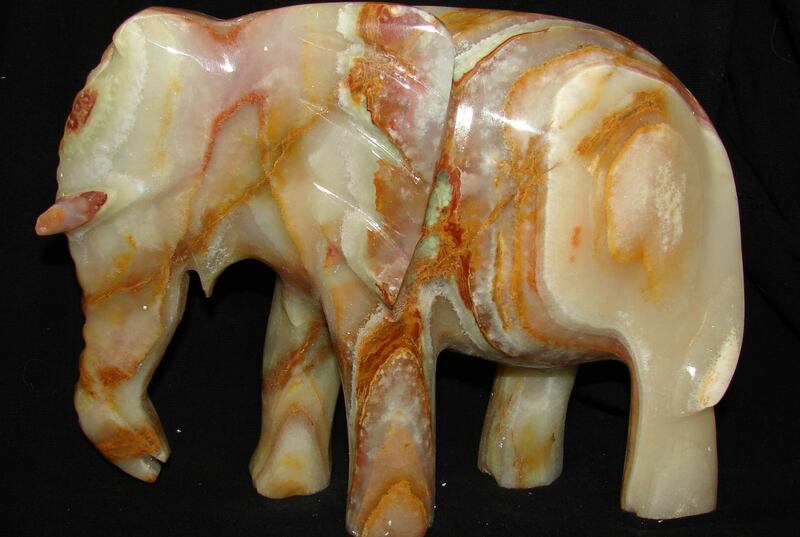 These are hand-carved onyx/marble elephants. For expanded view and secure order page, simply click the photo of the item of interest. Thank you for taking the time to view these items. Scroll down for more. This big guy (above) is the largest we have ever had. He is 12 inches long from nose to tail, 10 inches tall; and 5 inches wide. He weighs in at 17 1/2 pounds. 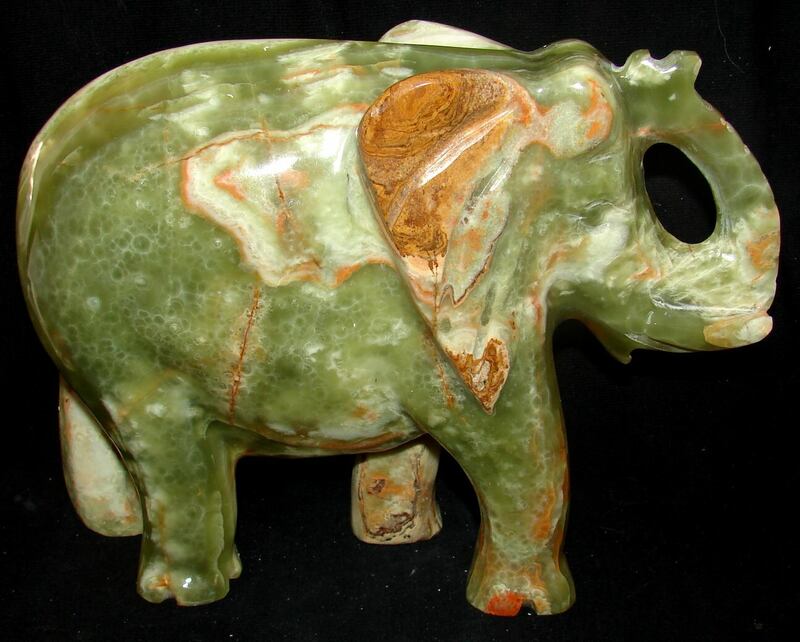 His body is polished marble, with various fossils embedded throughout. For pricing and secure order page, simply click the photo. 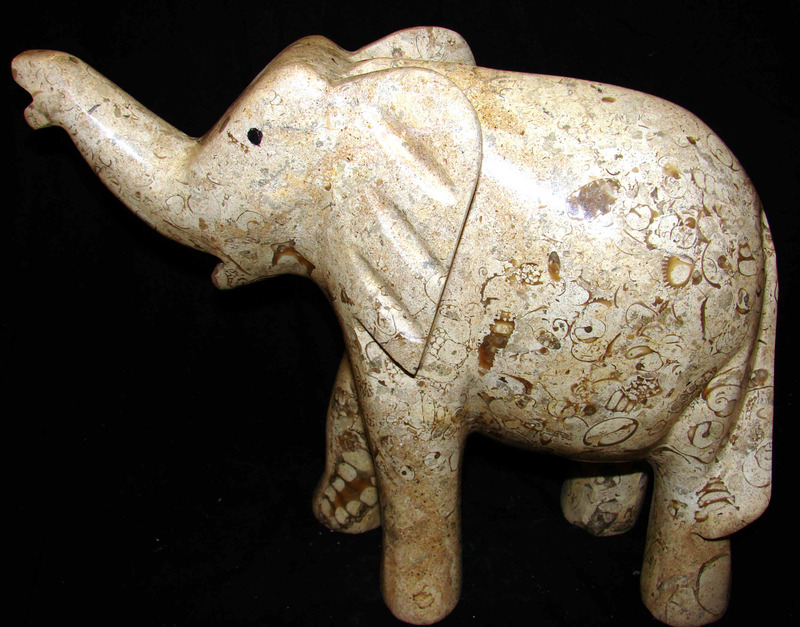 Elephants (below) are approx 5 inches long, 6 inches tall. 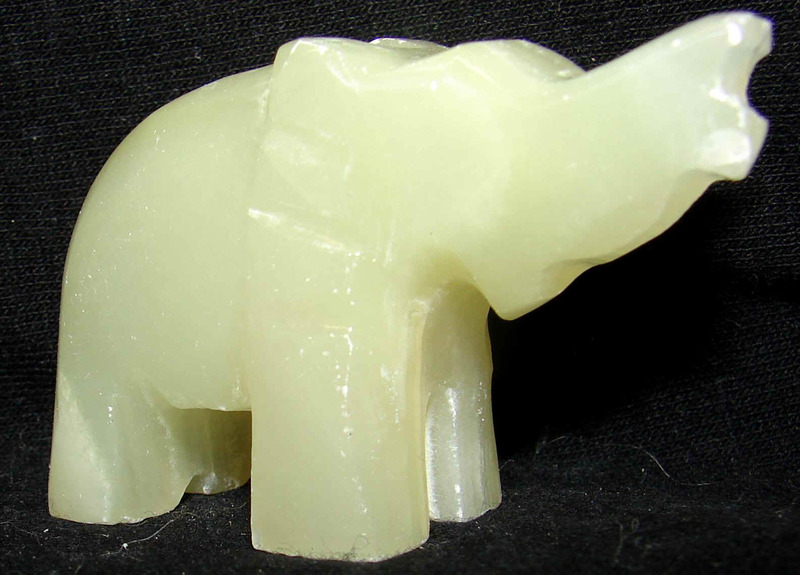 Elephants (below) approx 2 3/4 inches long and 2 1/4 inches tall. 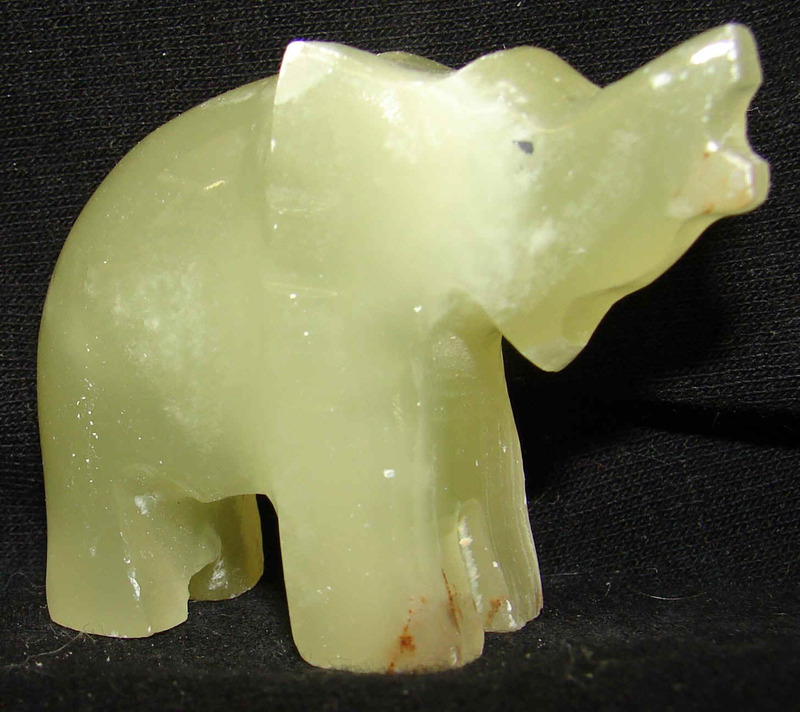 Elephants (below) approx 2 1/4 inches long and 1 1/2 inches tall.